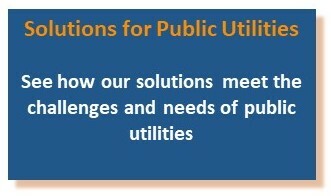 Public Utilities | Strategic Networks Group, Inc.
Public utilities, whether a public utility districts (PUDs) or municipal utility, are in a unique position to lead in ensuring that all communities can get the broadband they need and many PUDs have already made great strides on that path. By providing broadband on a wholesale basis and partnering with retail internet service providers (ISPs), or by directly offering retail internet service, public utilities have helped thousands of households and businesses get access to high-quality broadband and the retail services it can offer. Citizens and businesses that do not have access to the quality broadband they want and need risk falling behind in the increasingly competitive online world. As a consequence, their communities risk diminished relevance and limited economic growth opportunities. The challenges of providing access to high-quality, affordable broadband for all can be overcome – however, a new approach is needed when unserved and underserved areas do not represent enough of a business case for private sector investment in broadband. For PUDs considering entering the broadband business and for those already engaged, there are now proven models for ensuring that even the sm allest communities can benefit from broadband. Technology options, such as open access networks, and innovative models, such as fiberhoods—building to committed demand—can help PUDs lead the way to full and affordable broadband coverage for their communities. The first step is to agree on the problem by showing communities and incumbent broadband providers empirical evidence of broadband availability and use. What areas have good service? What areas have poor or insufficient service? What are the benefits from broadband that our businesses should be leveraging? Most importantly, would investments in broadband to address identified gaps pay for themselves by enabling businesses to stay, expanding local job opportunities, and improving local quality of life? This due diligence and impartial assessment of broadband availability, use, and community benefits is not just another broadband study. Instead, collecting the right data is the start of a process that plans for outcomes and engages the community by using empirical evidence to build buy-in. With buy-in and an economic case for investing, communities and regions can finally move to address their broadband gaps. The next step is to approach broadband as essential infrastructure, like roads, where community benefits outweigh investment costs. Road infrastructure is a foundation on which communities and economies have been built – those with good quality, accessible road networks have thrived. With everything going online, communities and economies now need dependable, sustainable broadband infrastructure. Strategic Networks Group has done the research and analysis to clearly quantify the benefits of broadband to individuals, to businesses, and to municipalities and utilities. We know the value of broadband because we have measured it. Furthermore, we have applied this research to planning and have developed practical methods to help regions and communities achieve high-value, sustainable broadband solutions. It is SNG’s mission to help communities get the broadband they need and leverage the broadband they have to thrive in the digital economy. We are uniquely positioned to assist public utilities and the communities they serve to increase broadband access as we strive to open the digital door for everyone. We offer a range of public utility solutions for those entering the broadband market as well as those wanting to expand broadband access to more communities.